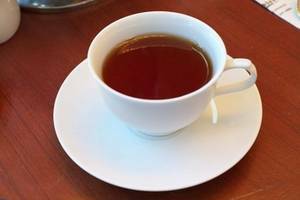 Description: This free picture shows a cup of tea. The photo is of a white cup and saucer with pale tea inside. This image is courtesy of Yunphoto.net.